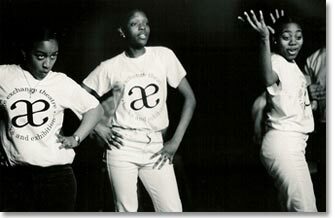 In spring 1997, with funding from the European Commission's anti-discrimination unit, the Network was able to mount a series of reminiscence drama projects with ethnic elders in different European countries. The elders worked with professional theatre directors to create new pieces of reminiscence theatre based on their own experience of migration, resettlement and of growing old far away from their places of origin. 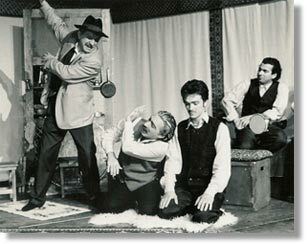 [Image: Arkadas Theatre performing the Turkish Experience in Germany on stage London, 1997].